Learn About The Different Types of Memory Card Errors, Issues, Problems, Corruptions, Damage and Their Effective Fixes! We all know that memory card is a small portable device that is used in various digital cameras and phones. All the digital photos and videos get stored in your card which is as small as your thumbnail. Memory cards include the SD cards miniSD, microSD, SDHC, microSDHC, SDXC, TF, CF cards, XD-Picture card, memory stick, etc. But for some reason it may get corrupted or damaged due to improper handling of card, power shortage, removal of memory card while shooting or viewing of picture this leads to temporary unusable and unable to display or offload photos and videos. These corruption or damaged is marked by error messages like “memory card error”, “card locked”, “card error” that are displayed on the camera screen which makes your valuable pictures to get disappear and lost. In some cases the camera, phone or windows PC may prompt to re-format the memory card or refuse to take pictures or view old pictures. There are millions of users out there encountering with different types of memory card errors and problems. Just have a look at below-mentioned practical scenario! I have problem in slot 1 in Nikon D7100. the memory card was working fine, suddenly it is not accepting the memory card. so when i try to format the memory card, i’m getting the following error message “cannot format memory card. card may be defective insert another card”. i have tried with different memory card in slot 1, still i’m getting the same error. so when i try to update the firmware using slot 2, the camera unable to recognize the firmware file. so could please help to resolve this issue. Because there are many users facing with different kind of memory card errors and problems, I have decided to write this post – that will help you to fix card errors with suitable repair solutions that you can count on. For better navigation, I have divided the memory card errors in different chapters that will give you the exact memory card errors, problems and their solutions that you are looking for. Besides that, do not forget to check Bonus Tips section that offer more knowledge on how to keep memory card in good condition, prevent memory card error, tips to protect and prevent memory card corruptions and more. Note: This memory card errors and their fixes apply to all types of memory card available in markets such as Secure Digital Cards (SD, microSD, miniSD, SDHC, SDXC), Compact Flash (CF card), Multimedia (MMC card), xD Picture card, flash card, memory stick, SmartMedia card, etc manufactured by different brands like SanDisk, Kingston, Transcend, Lexar, Samsung, Strontium, Sony, etc. – SD card is write protected. – SD Memory card is locked. The SD memory card can get locked or prevents the memory card from being stored on the card while the lock is on the “On” position. If the memory card is in the locked position and user tries to record photos or videos then frequent error message gets displayed defining that the memory card is write protected or locked. The card contains “lock” switches on the left side of the card but if the switch is on the lower/bottom position then the card is locked and write protected means that you cannot write on the memory card with new data. If you connect the write protected or locked card to computer to transfer files then it display the error messages “The disk is write-protected”. Below, follow the listed posts that will help you to fix memory card is locked or write protected error message. We as human being are made to make mistake. People accidentally or mistakenly delete photos and videos from memory card. Sometimes we accidentally format the card. But let me tell you that deleted photos from memory card are not gone permanently until and unless they do not get over written by new files. 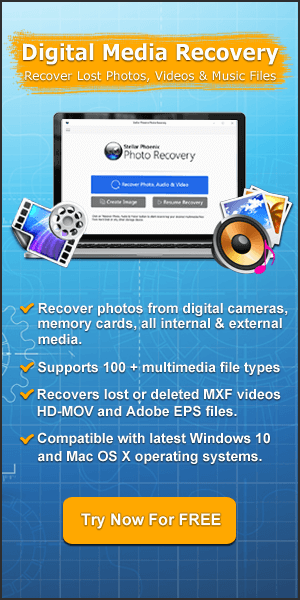 Hence, it is still possible to recover deleted photos from memory card by using the photo recovery tool, whether you have deleted them or formatted your card. 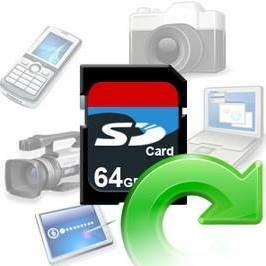 Below I have listed the post that will help you to recover photos from memory card in different situation. This is one of the common problems. Sometimes when you connect your memory card to PC, then your PC unexpectedly display error message “The disk is not formatted, do you want to format it now?”. At such situation, it is suggested that you must not format your card and ignore the error message. However, if you move ahead to format your card, then you may see another error message “”operation failure” (or “the disk cannot be formatted” and hence you are not able to format it. But you don’t need to worry any more. I have listed the post that you can follow to fix this issue. I have found that there are many users out their fail to format SD memory card. They face difficulties in formatting the card either on Windows PC, Camera or Phone itself. But you don’t have to worry about it. Simply follow the listed post below and fix the issue of “not able to format card” error. How to Format a Memory Card on Windows? Sometimes, situation arises where your card is not recognized or detected by PC or Mac or it is simply won’t read in your digital camera or phone. But sometimes computer does not able to read the memory card although if it working fine with the camera. In such situation you can follow the below-listed posts to fix memory card is not detected or not recognized issue. In some scenarios, we have also found that files get hidden in the memory card or shortcut files or folders get created in the card due to virus infection. When you connect your card to Windows PC, then you may find that all the images and folders are missing or got disappeared. And if your card is infected with shortcut virus, then your files may get hidden or files/folder have become shortcut (showing the file size in KB, but the real size was in GB). If you are facing such kind of problem, then it means that your card is infected with virus or malware. So, below follow helpful post appropriate for removing virus from SD card and how to recover hidden files from the memory card. [100% Solved]: SD Card Show “0 Bytes” Space! Blank SD Card or Has Unsupported File System. Lost Data When SD Card Formatted as Internal Storage. If you are facing such type of card error message on your Android phone or tablet, then simply follow the listed post that match your problems and fix the issues by yourself. How to Recover Lost Data From Unmounted SD Card? We have also found in various forum and community website that many photographers asking for solutions and fixes related to memory card errors and problems that they are encountering in their digital cameras and DSLR. So, if you are also facing with different kind to card errors with your cameras (not only with memory cards error), then you can follow the below listed help posts that match your problem and find the fixes. 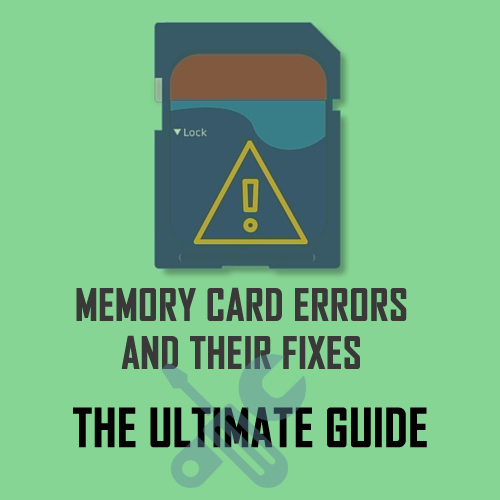 As of now you have known so many card errors and their fixes, but there are other various common memory card errors, corruptions, problems and damage that you might be encountering in your daily life. Hence, I have listed the posts below related to different types of memory card errors and their fixes. So, find your exact card issue and their fixes mentioned in the following post. Due to improper formatting of memory card. The file system of the card may be damaged or the file system property might be RAW. Due to fault card reader. Due to virus and malware attack. Due to improper disk structure which leads to corruption of memory card. Due to improper power failure or pulling out the memory card without switching off the camera. Switching the camera when the camera is still writing photos on the memory card. Run out of battery or battery low while the files being transferred or while clicking pictures. Shooting quickly may delete the images as when you are clicking pictures and it has not written fully on the memory card and another picture shoot make let the images deletion from memory card. To avoid or to minimize the frequency problems that arise with the memory card can be tackled. Some of the solutions are – memory card should not be removed while transferring, saving or displaying the photos or videos. The memory card should be remaining in the camera while the camera is being turned ON or OFF. It can also be avoided while viewing and taking photos and videos at the time of battery low. To recover deleted photos from card, Photo Recovery Software is very helpful as it will help you to recover all the deleted or lost or corrupted pictures and videos from the Memory Card without any hassle. 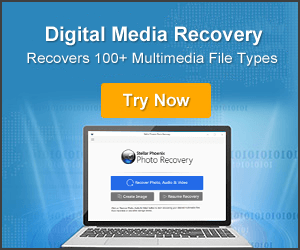 Click on the button below to free download photo recovery software to retrieve deleted photos and videos from memory card. It is helpful when memory card gets damaged and even when the computer as well the camera or phone is unable to detect the memory card. Below I have listed some of the useful and helpful memory card tips that you should not ignore. Since there are countless number of memory card errors, problem and issue out there that is impossible to cover up. But I have tried my best to cover most of the different types of memory card errors, problems, issue, corruptions and their fixes that you all encounter in your daily life. And I hope my fixes and tips on memory card have definitely have helped you in solving your issues. Note: For future reference, please bookmark this page. And if you have found this post helpful and useful then please share it. 10 Chapters For Memory Card Errors, Problems, Corruptions And Their Fixes. 1: Memory Card Is Locked Or Write Protected. 2: Deleted Photos or Formatted Card By Accident. 4: Not Able To Format Card. 5: Memory Card Not Detected or Recognized. 7: Memory Card Errors in Android Phone or Digital Camera.